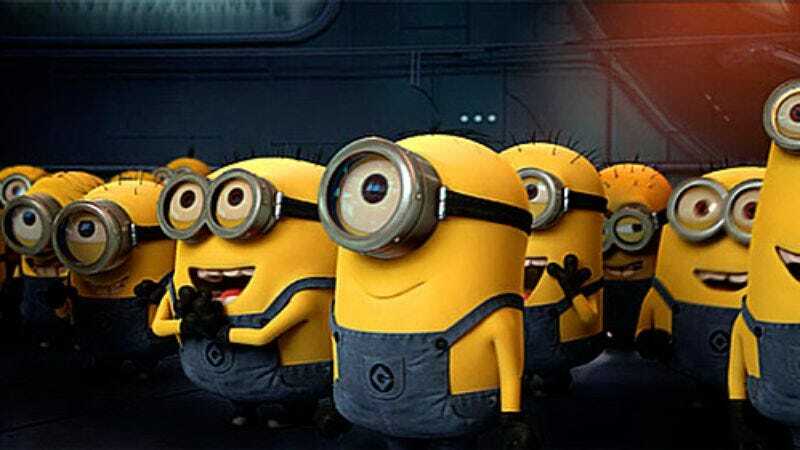 After already spawning a sequel and theme-park ride, Universal’s Despicable Me will also get a feature-length spinoff in 2014 based solely on the minions, those wee, androgynous yellow things you may recognize from any of several annoying commercials. While Despicable Me saw the hench-things mostly under the thumb of the Steve Carell-voiced supervillain Gru, this film will focus solely on the lives of the minions themselves, presumably probing the intricate relationship between minions and humans. The minions—who speak in a mostly gibberish language (except for the words “banana” and “potato”)—will appear alongside both new and returning Despicable Me characters. Comics writer Brian Lynch, whose film credits include Puss In Boots and Hop, will handle the screenplay for the as-yet-untitled film to be co-directed by the original's Pierre Coffin and Kyle Balda.